Again Patter has chosen a song I had not heard before by a band called JJ Weeks Band. 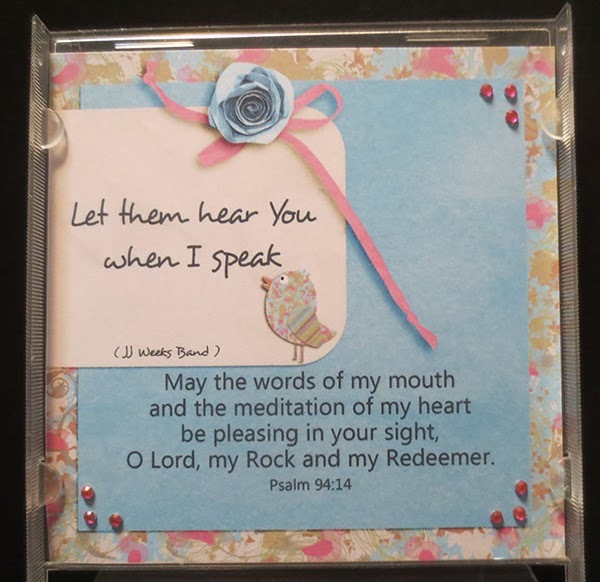 Please visit Patter's blog HERE to read her teaching and also find the link to the song if you would like to hear it sung. Help me, Lord, to use my words not to tear down others or build up my own reputation, but to seek the good of others first, and in so doing to serve You and Your Kingdon. Lovely page and sweet bird.